Last year around this time, Scientific American warned that if bees continue vanishing at the rate they’re going, then fruits and vegetables will likely become the food of kings. Only recently did I watch the Nature special released a year prior (’08), The Silence of the Bees (which can be watched for free in its entirety here), which does a pretty good job covering the possible causes of the CCD (community collapse disorder) of the world’s honeybee population: (1) fatigue from being transported over long distances for commercial pollination, (2) neonicotinoid pesticides, (3) malnutrition, (4) mites & parasites, (5) IAPV, or Israeli Acute Paralysis Virus, (6) some kind of immune system suppression caused by a virus like AIDS in humans. There is a new documentary available in the U.K., The Vanishing of the Bees, and the U.S. version (narrated by Ellen Page) will be released this October. I’ll have to watch it, if only to get even more depressed. 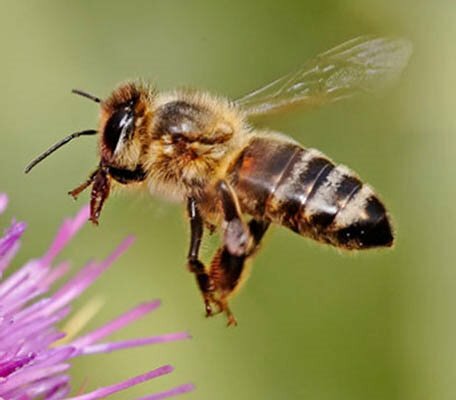 One thing is certain: if the honeybees continue vanishing at this rate, and we don’t come up with a viable alternative to natural pollination, we’ll all be living on rice, corn, and wheat by the year 2035 — and many people much sooner than that. This caught my eye from the recent RBL mailing: Who Do My Opponents Say That I Am? : An Investigation of the Accusations against Jesus, by (editors) Scot McKnight and Joseph B. Modica. Seven essays (four of them by bloggers) address the seven accusations against Jesus found in the gospels: (1) “law breaker” (Michael Bird), (2) “demon possessed” (Dwight Sheets), (3) “glutton and drunkard” (Joseph Modica), (4) “blasphemer” (Darrel Bock), (5) “false prophet” (James McGrath), (6) “King of the Jews” (Lynn Cohick), and (7) “mamzer (illegitimate son)” (Scot McKnight). The project apparently grew out of Malina & Neyrey’s Calling Jesus Names, so it will be interesting to see how the authors rose to the challenge. Shillington’s remarks imply that some hard questions are being dodged (I wonder what Malina & Neyrey think of this work), but I’ll have to read the book myself. I’m excited about Matt Smith’s debut as Doctor Who, and of course Easter is an appropriate season to introduce a newly regenerated Time Lord. I notice that someone recently made a youtube compilation of All the Doctor’s Regenerations (except for 8->9, which was never filmed). Do watch the clip. Here are my ratings of the regenerations. The top three — four, five, and nine — are near flawless and get extended commentary. 1. Four: Tom Baker–>Peter Davison. 5 jelly babies. The fourth regeneration encapsulates a golden age of Doctor Who and floors me every time I watch it. Tom Baker accommodated more change in the show’s vision than any other incarnation, under Philip Hinchcliffe (three seasons of gothic horror), Graham Williams (three more of light comedy), and then John Nathan-Turner (the last and most talked about season, which reined in the comedy and grounded the stories more firmly in science). Logopolis has a perfect funereal feeling to it and was seen by millions when it first aired. I’ll never forget the way Baker’s final whisper brought tears to my eyes: “It’s the end, but the moment has been prepared for”. It may not have been as flashy as later regenerations, but it’s by far the most moving. 2. Five: Peter Davison–>Colin Baker. 5 jelly babies. Many believe that the fifth regeneration is the best, but while I agree it’s the most dramatic it doesn’t have the soul or dignity of the fourth. Davison had the luxury of going out as strong as possible, in what is universally hailed as the best story from his period (The Caves of Androzani), and his regeneration is the culmination of all that suspense and adrenaline rush. Best of all is the fact that the new (Sixth) Doctor gets in some beautiful lines at the end, when Peri asks, “What’s going on?” The cold reply: “Change, my dear. And it would seem not a moment too soon.” Poor Peri would get quite a change indeed when this arrogant incarnation went berserk and tried to kill her. 3. Nine: Christopher Eccleston–>David Tennant. 5 jelly babies. Christopher Eccleston’s departure after a single season worked out splendidly for two reasons. For one, he wasn’t the best representation of the Doctor, a gurning manic-depressive, and remarkably ineffectual (though I confess he’s grown on me over time). He took his minimalist character about as far as it could go. But in leaving the series so quickly, he gave newcomers an opportunity to see some Gallifreyan lore in action. And what a regeneration — more flashy than any from the classic period, if lacking some of the soul — leaving us with David Tennant licking over his teeth in bemused wonder. I knew right there and then that he was going to be “the” Doctor of the new series. 4. Three: Jon Pertwee–>Tom Baker. 4 jelly babies. If the fourth regeneration is the most deeply moving, the fifth the most dramatic, and the ninth the most majestic, the third is the most touching. It’s Jon Pertwee’s farewell to Sarah Jane Smith, and played wonderfully by Elizabeth Sladen. 5. Seven: Sylvester McCoy–>Paul McGann. 4 jelly babies. I never liked the Eighth Doctor’s single-episode “movie”, but the seventh regeneration is impressive and creepy on its own right. 6. One: William Hartnell–>Patrick Troughton. 3 jelly babies. By today’s standards it looks pretty lame, but the first regeneration is a landmark and retains its dramatic pull. 7. Six: Colin Baker–>Sylvester McCoy. 2 jelly babies. A half-hearted attempt to cover for Colin Baker’s absence. After being fired Baker (quite rightly) refused to return for a regeneration scene, and so we have the embarrassing spectacle of Sylvester McCoy in a wig regenerating into Sylvester McCoy with his own hair. And it’s too rushed and undramatic. 8. Ten: David Tennant–>Matt Smith. 1 jelly baby. The longest regeneration sequence in the show’s history is weighed down by melodrama, saccharine farewells, and ridiculously overblown stuff that makes no sense (parts of the TARDIS exploding). Russell Davies was clueless by this point, and truth told, he should have handed over the reins to Steven Moffat immediately after Turn Left. It’s a shower of piss, and David Tennant deserved better. 10. Eight: Paul McGann–>Christopher Eccleston. n/a. The eighth regeneration was never filmed. I’ve blogged so much about Paul in the past five years, and on the most controversial issues which I naturally think I’m right about, but could never rest completely satisfied without TARDIS-traveling back to the 60’s and getting answers from the horse’s mouth. Jeffrey had set a limit of five questions, but I’m going with a dirty dozen. Here they are, followed in many cases by links to the way I understand Paul on these points. Other bloggers are invited to participate in the exercise. (1) What was it about Christians that pissed you off so much before your conversion? Did you loathe them for worshiping a crucified criminal, appearing seditious, eating indiscriminately with Gentiles — or something else? (7) Do you believe that male homosexuality is as bad as temple prostitution and pederasty? And what about lesbianism? Thanks for your time, dude. Michael Whitenton has written a helpful essay on the usage of πίστις Χριστοῦ (“faith [in/of] Christ”) in the apostolic fathers. Anyone and everyone who has something at stake in the ongoing πίστις Χριστοῦ debate should take the time to read it. It’s a no-brainer that later church fathers (c. 150-430 CE) cited Paul’s usage of πίστις Χριστοῦ in a clear objective genitive sense: “faith in Christ”. But the evidence of the apostolic fathers (c. 70-150 CE) is more murky. While they weren’t citing Paul, their usage of πίστις Χριστοῦ could nonetheless represent possible transmissions of Pauline traditions, and this is what Whitenton seems to believe. The first category is listed without commentary, “simply for sake of completeness” (p 6), and frankly I don’t think they have any bearing, or shed much light, on cases involving the modifier of God or Christ. So it’s the second and third categories that concern us. Of the four cases in category (2), Whitenton finds that the first favors an objective reading, “faith in God” (I Clem 3:4); the second favors either reading, but the scales tip in favor of a subjective one, “the faithfulness of God” (I Clem 27:3); the third refers to a “teaching from God”, meaning that a genitive of source is in view (Ign Eph 16:2); and the last denotes a pledge from a divine spirit, meaning that πίστις is better translated “proof” of God’s spirit, rather than “faith” or “trust” [in/of] God’s spirit (Herm Mand 11:9). Of the eleven cases in category (3), Whitenton finds that the first favors a subjective reading, “the faithfulness of Jesus Christ”, (Ign Eph 20:1); the second favors either a subjective reading, “the faithfulness of Jesus Christ”, or a genitive-of-source reading, “the doctrine of Jesus Christ” (Ign Mag 1:1); the third favors either an objective reading, “by faith in and love for Jesus Christ”, or a subjective one, “by the faithfulness and love of Jesus Christ” (Ign Rom inscription); the fourth involves a usage of πίστις as “teaching”, with four possibilities — a genitive of source, “the teaching of the Lord”, a possessive genitive, “the teaching from the Lord”, a genitive of content, “the teaching about the Lord”, or an attributive genitive, “the teaching that is characterized by the Lord” (Polyc Philip 4:3); the fifth favors either an objective reading, “the hope which springs from faith in Jesus”, or a subjective one, “the hope anchored in Jesus’ faithfulness”, with the scales tipping in favor of the subjective reading (Barn 4:8); the sixth favors a subjective reading, “the word of Jesus’ faith” (Barn 16:9); the seventh, eighth, ninth, and tenth all emphasize fidelity to the Lord as a gift, and thus favor neither an objective nor subjective reading, but rather a genitive-of-source reading, “the faithfulness from the Lord” (Herm Vis 4:1:8, Mand 11:4, Sim 6:1:2, 6:3:6); and the last favors either an objective reading, “preaching to the dead about power and faith in the Son of God”, or subjective reading, preaching to the dead about the power and faithfulness of the Son of God”, with the balance tipping slightly in favor of the latter (Herm Sim 9:16:5). I don’t necessarily agree with all of Whitenton’s judgments — in some of the more ambiguous cases, I think the scales tip in favor of the objective reading — but for the most part his assessments are sound and show how fluidly πίστις Χριστοῦ was used by the apostolic fathers. Again, this says little about Paul, because in none of the above cases is he being cited — with the possible exceptions of Ign Eph 20:1 and Mag 1:1 echoing Gal 2:20 (noted by Whitenton, pp 14,16). If the ambiguity of the apostolic fathers’ usage points to anything about Paul, it’s the point emphasized by Stephen Finlan: that Paul’s participatory theology carried within it the seeds for a subjective genitive reading of πίστις Χριστοῦ, even if Paul never went that far. (There’s a good reason, after all, why he goes out of his way to avoid faith terminology in Rom 5-8.) The above evidence may well indicate how this potential was developed in some circles by the late first and early second centuries. I want to thank Michael Whitenton for a helpful analysis which shows, to me, that the subjective genitive reading isn’t quite as faddish as I’ve been claiming. While it certainly remains the weaker reading in Paul’s letters, and plays unquestionably into a variety of modern agendas, that weakness can be laid at the door of theologians who pre-date Duke scholars by almost nineteen centuries. 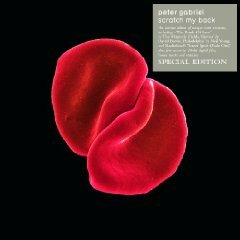 Peter Gabriel’s first studio album in eight years, Scratch My Back, is the first half of a joint effort in which the most talented rock musician of the last three decades reinterprets songs of his favorite bands. In exchange, these artists — David Bowie, Paul Simon, Elbow, Bon Iver, Talking Heads, Lou Reed, Arcade Fire, The Magnetic Fields, Randy Newman, Regina Spektor, and Radiohead — will be returning the favor. On a forthcoming album called I’ll Scratch Yours, they’ll perform some of Gabriel’s songs. The special edition of the album is available on iTunes, so don’t wait any longer to buy it! The fifty-first Biblical Studies Carnival is up on G. Brooke Lester’s Anumma.